Land for sale is located in Macun Neighborhood that is connected to Aksu. The region is near the intersection point of Antalya-Isparta road and Antalya-Mersin road. There are a public school, market, bank and the other daily amenities in this region. 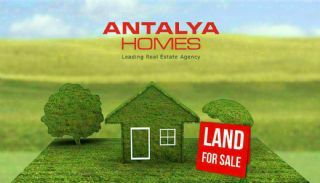 Housing land in Antalya is 5 km to Aksu town center, 12 km to the International Antalya Airport, 16 km to the city center and 17 km to the sea. 403 m² land has a permit to build a house with 70% usage area and 100 m² ground floor + 4-storey (140 m² each floor).